Scale the top of quality service ! Sinobios! I like it! This feeling is increasing daily with past years’ experience in business cooperation with your lovely and diligent staff. I enjoy and cherish your way to fulfill our common business aim with your courtesy, team spirit, your efficient and industrial activity. 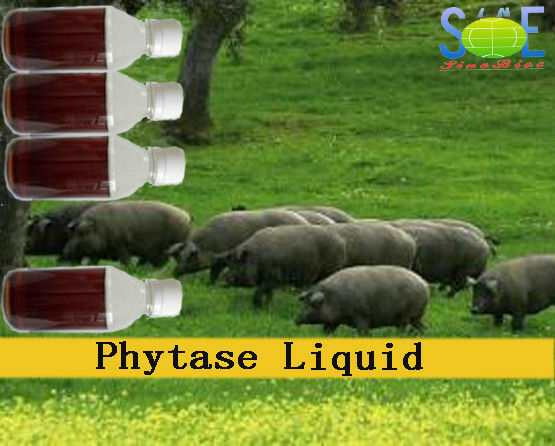 This product is a liquid-type Phytase, which is a new generation of 6-phytase [EC3.1.3.26], derived from E. coli modified by Pichia pastoris, and produced by advanced bio-engineering technology. 1 unit of Phytase equals to the amount of enzyme, which liberates 1 μmol of inorganic phosphorus in 1 min. from 5.0mmol/L sodium phytase at 37°C and pH5.5. The product can break down the undigestible phytic acid (phytate) found in grains and oil seeds into inositol, phosphoinositide or phosphoric acid, and thus release digestible phosphorus, calcium and other nutrients, enhance the nutritive value of plant material, improve the utility of nutrition and reduce the environmental pollution caused by using of phosphorus. pH 2.5-5.5; temperature favorable at 37°C. Better heat tolerance, more than 90% activity retention under 95 degree C.
The product is used as feed additive. - To decrease dosage of costly inorganic phosphorus and reduce feed costs and using space-saving formula to ensure or improve effect of breeding. - Good immunity to endogenic protease and gastric acid. 20/25/30/1125kgs/drum. Or package as per requirement. Liquid: 25°C, 6 months, activity remains 90%. Keep in a dry, well ventilated and cool place with packaging unopened. Increase dosage after shelf life. Should be stored and transported in a cool, dry and well-ventilated place avoiding sunlight. 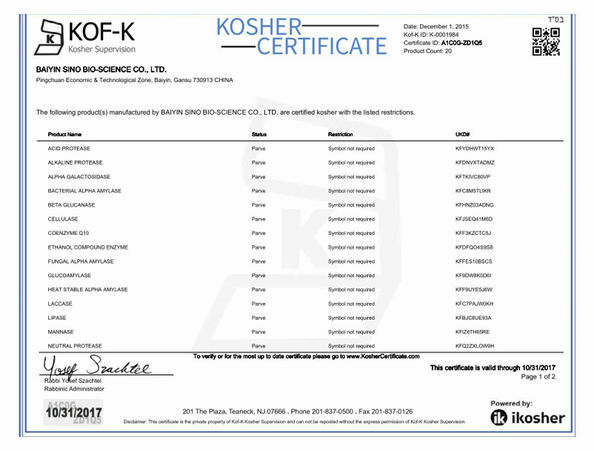 China Good Quality Enzyme Feed Additive Supplier. 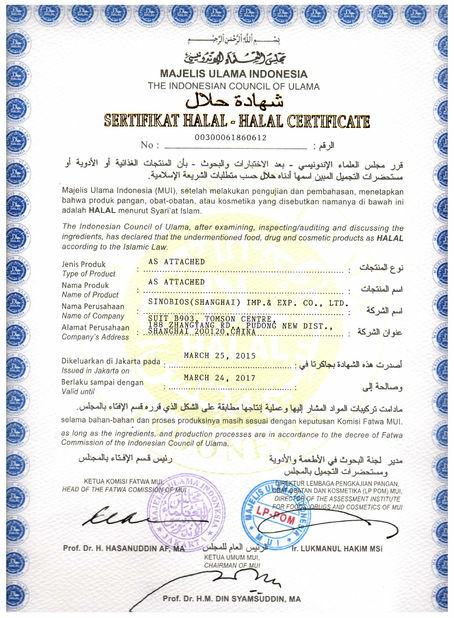 Copyright © 2016 - 2019 nutritional-feedadditives.com. All Rights Reserved.